Here you will find details on the entry process, the different types of stores that can be opened on Tmall.com, and the documents required to get started and launch your store. Be sure you're ready to invest the necessary time and resources into your store launch, as opening and running a store on Tmall.com will require strong commitment. 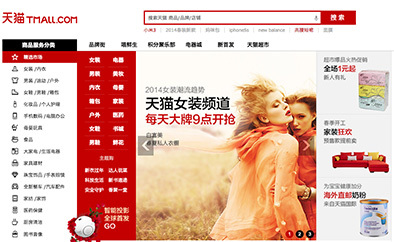 The button at the bottom leads to Tmall.com's merchant webpage to provide you with further details and contact information. Please note: Fluent Chinese is required! Merchant holds authorization documents from the brand owner to open a store on Tmall.com. The authorization documents from the brand (trademark) owner must not be subject to regional restrictions and the period of validity must not end before Dec 31, 2013. Merchant sells products of two or more brands that belong to the same product category. A single merchant may only apply to open one Specialty Store within a single product category.